Readers are encouraged to share this to their sailing mates as the more people “Talking Sailing” the better our sport will be. It’s difficult to know where to start this issue as there are so many different and fascinating items to talk about this month. There is the future format of Olympic Sailing; Some questions answered regarding the fairness of the Lipton Cup; whether to tether yourself to a keelboat or not; whether the Laser dinghy may be usurped – and lots, lots more. Interestingly the IDRA 14 celebrates its 70th anniversary this year, with the Dabchick celebrating its 60th. To find out what the IDRA 14 is, you will have to continue reading. This is one of the longest issues of “Talking Sailing” I have produced – I hope it’s still pertinent, to the point and of interest? Enjoy. However before you read on I must apologise for two omissions in the last issue. The items below about SAS and the Cape 31 One-Design keelboat did not appear for technical reasons when this issue was being prepared for sending. I have had some teething problems with the organisation who send this, and although I thought that they had been resolved, they disappeared into Davey Jone’s locker! They are reproduced here again as they are important enough – and interesting enough – not to be missed. • The Laser Dinghy. Are its Days Numbered? • Does Anyone Know the IDRA 14′ Dinghy? At the recent AGM Philip Baum and Mike Robinson were re elected as President and Vice President respectively for the next year, and Peter Hall was re-elected as Chairman for the next two years. I recently interviewed Mike Giles about the new Cape 31 monohull that is being developed specially for the local market. This is an exciting, brand new boat that will add spice to monohull sailing locally, and give local sailors a taste of just what hi-performance sailing is all about. She has an optimized hull shape which will make her fast, very fast. Giles is the project manager for this boat. This exciting project is the brain child of Lord Laidlaw who is actively involved in sailing locally, campaigns Cape Fling (R/P 52) in Cape waters, and races a R/P 82 and a new Swan 115 in key major international regattas. Lord Laidlaw approached Mark Mills, a premier yacht designer, to draw up a 31-foot one-design boat for this country. 31′ is a good size for South African waters, being large enough for the strong winds of Cape Town. And it will be affordable. It could have been bigger, but the costs rise exponentially the bigger the boat. “There is no scrimping on this boat at all, as ALL the best people internationally, and locally, are being engaged to ensure that we get a top-flight end product” said Giles. For every yachtie the performance of the boat is the first thing they want to know, so here’s what is expected of this slippery 31-footer. “The speeds we envisage are in the high teens downwind – so it will be a flyer and a fun and exhilarating boat to sail” said Giles. The project is well underway already with the first boat in the water early December, with the objective of competing in the RCYC Summer Regatta later in December. Since Mills drew the lines, the services of Steve Koopman, one of the leading composite engineers in the sailing world, was engaged to ensure that the correct structural and composite decisions were made. With these two world class people on board the project had the perfect start with a very good designer and engineer. Add top class good tooling and a good builder and you WILL end up building a fantastic product. The one-design aspect is critical to the entire project so EVERY hull has to be absolutely identical, and for that to happen the project has to be the best at every level. “I think where other one design classes around the world have fallen flat is their need to further fair the hull, keel and rudder after exiting the mould” said Giles. “With this project, and each key area being handled by an expert in his field, we are sure that when the boat pops out the mould it will be absolutely perfect and blemish-free”. To further the ‘perfect’ thinking, the hull tools are all being CNC milled in the US. This is a costly exercise, yet it achieves two things: it produces a hull that is absolutely perfect from the outset, and is a quick process. Builders and tooling companies were consulted in Europe, the USA and the UK. Symmetrix Composite Tooling in Bristol, Rhode Island were appointed to build the hull tooling and interior grid mould whilst Alfresco Composites undertook to do the deck tool. Ted Brown of Alfresco Composites, based in Portsmouth, Rhode Island, is the head boat builder for boat number 1. He is also overseeing the tooling production. The completed hull tool will have been delivered to the builder by the time this article is read, the deck is well in production and the internal grid tool will have been CNC cut. “You may ask why the first boat is being built in the USA and not locally? The reasons are sound though as we want to ensure that ALL the components fit together perfectly BEFORE all the moulds are shipped to Cape Town to a local builder. 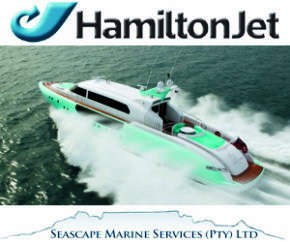 Alfresco Composites will build the first boat, and once all is perfect, they will then come to South Africa to supervise the building of hull number 2. So there will be a transfer of knowledge from the USA to RSA. Lord Laidlaw has committed to fund the design, engineering and tooling. The local builder chosen is Stephan du Toit of Performance Craft in Cape Town. He comes from a strong dinghy boat building background, and he will be upskilled to produce these boats when he goes to the USA very soon for the production of the first boat. Many of the other components will all be sourced within South Africa. Southern Spars in Cape Town will build the carbon fibre masts. 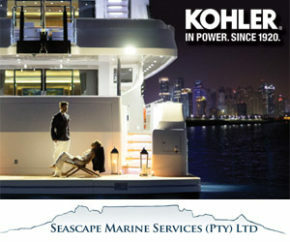 Other composite pieces such as the keel fin, carbon bowsprit and rudder will all be produced in Cape Town. There is solid reasoning in this approach as we are simply using the best people possible for each and every component. “This whole project will undoubtedly uplift the sport and industry locally” said Giles. Lord Laidlaw’s intention with this project has been to introduce a new fast one-design boat that will give local sailors a taste of what is happening internationally. For us to still be sailing regattas on boats with spinnaker poles while the rest of the world is foiling, means that we as a sport are slipping further behind. So I think this is a fantastic project which will introduce a grand prix type of sailing boat” enthused Giles. Since the above was written, progress has been rather impressive – and rapid, with the promises and time-lines being adhered to. Basically hull number one is well under way in Alfresco Composites in the USA. Stephen du Toit, the nominated South African builder, has been part of the build team for hull number 1. Boat 1 will be completed towards the end of October and immediately shipped to Cape Town. The fin keel mould is also under construction. Lord Laidlaw and his team have now finalized the deck hardware, the rig is now in production, as are the bowsprits, rudders and various other components. “So all the pieces are finally coming together”, said Giles. “Its very exciting to see the response not only locally, but internationally too. At the Rolex Maxi Worlds in Porto Cervo everyone is loving the idea of a fast and exciting 30-foot racing boat with a one design platform that is as exciting as the TP52s and Farr 40s, but that is more affordable”. Maybe this project will evolve from a local one to become an international one-design class. Watch this space! I am please to see that this race from Simonstown to Mossel Bay has attracted an entry of 39 boats. It starts next Thursday morning – 29 September. Well done to those who have promoted it. Although it’s only 120nm, I hope it signals the start of the revival of coastal ocean racing in the Cape. As a serious lover of offshore racing and one who laments the demise of coastal ocean racing in this country, it warms my heart to see, and hear, the positive response and excitement this race, and the Vasco da Gama Race have brought. I certainly hope that the enthusiasm continues for many years to come and over many races. To those competing, sail safely, and remember that wearing a Personal Flotation Devices throughout the race is safe – and not the sign of a scared or incompetent crew. Remember that you are NOT a survivor until rescued. Sail safely. The author and I have been mates for many years, and I follow his ramblings with interest as he is someone who is happy to call it as he sees it. Having done three Whitbread round the world races and many thousands of miles at sea, he does come with a pedigree and experience too! It has been a while since I wrote that piece about lifejackets and whether or not they should be worn at all times. It certainly caused a stir and I even got my very first death threat. I am not sure if the person would have actually gone through with it, but he seemed pretty riled up. He was for wearing lifejackets at all times in case you were wondering. So, since it has been a while I thought that I would stir things up once more. This time it’s about the use of life harnesses. Yup as you might imagine I am not really big on them. I think that they give sailors a false sense of security. I have always been a “one hand for the task, one hand for the boat” kind of guy. Knowing that you are not clipped on heightens your awareness. Makes you super sensitive to your surroundings. Yes I know that a rogue wave could ruin my day but then apparently, so can wearing a harness. Practical Boat Owner, a UK based publication, carried out a series of tests using a dummy that was weighted to resemble a grown person. Their report has been circulating for a while and reinforces what I have felt for a long time. You are no better off dangling alongside the boat still attached than you are if you fall off and the boat sails away from you. You can read the full report HERE but let’s take a closer look at things. First of all when the wind is light there is little chance of someone falling overboard. I know it can happen, but not likely. The report towed the dummy alongside sailing at low speeds to see what would happen. At two knots the dummy was being towed on its back with the head above water, but as soon as the speed increased the head started to dip below the water, and at four knots the body started to spin. This was on the leeward side of the boat and things got a lot worse when the boat heeled over onto the dummy. Before you think that it would be a simple matter for the person in the water to just haul themselves back on board, think again. I have tried it and it’s a struggle even at low speeds. Bear in mind that accidents like falling overboard will usually happen in rough seas and at higher speeds with the victim fully clothed and probably wearing a life jacket. All of this makes it very difficult to retrieve someone. The Practical Boat Owner report was prompted by the drowning of a sailor off the UK coast. That person did everything by the book. He was wearing a lifejacket and was clipped on, but even after slowing the boat down to 1.5 knots the crew were still unable to get him back on board. They finally attached a spinnaker halyard to him and winched him back onboard. The whole exercise took 16 minutes from the time he had gone into the water. The test also included trying different length tethers. A person that fell overboard on the windward wide with a long tether ended up being sucked into the trough caused by the quarterwave and was repeatedly smashed into the hull. A long tether on the leeward side even worse. I suppose it depends where about on the boat you are when you fall overboard, but for the dummy they used and with a long tether the victim got sucked into the quarterwave and was fully submerged. In fact the only good scenario was a short tether on the windward side. The short tether kept the victim from touching the water. So I am not sure what to make of all of this. I am certainly not going to advocate that people not wear a harness, but I think we all need to think things through a little more than we do and not simply follow the herd. Seems to me that without a tether there is very little chance of survival. This report makes it clear that with a harness your chances of survival are not much better, but is “not much better,” better than drowning? Probably. So let me go back to the story I told about my brother in the piece about lifejackets. He lives in the bush in Botswana. Has done for 40 years. Never ever carried a gun and even though it’s wildest Africa, he has never had an incident. You see his logic is this. You carry a gun you get careless. You know that you have a gun there to bail you out if you get in trouble. Without a gun your senses are heightened. You are very aware of your surroundings and you never take chances. You rely on your senses which over time become honed and heightened. Same thing on a boat. No lifejacket and no harness and believe me your senses are heightened. So I am sticking with that logic, and with fingers crossed, hoping for the best. I am certainly not suggesting it’s the right path for everyone and I certainly don’t want another death threat. Celestial navigation was not formally taught to most naval officers during the last 15 years in the USA. Officer Candidate School did not teach it, Naval Reserve Officers Training Corps stopped teaching it in 2000, and the Naval Academy removed it from its curriculum in 2006. However, based on direction from former Chief of Naval Operations Adm. Jonathan Greenert, celestial navigation has been reinstated into the navigation curriculum and is a requirement in the Officer Professional Core Competencies Manual at USNA. Being proficient at celestial navigation provides added redundancy to ensure that their ships can sail safely in any contingency. The academy resumed formal classroom instruction during the summer session of 2015, and the class of 2017 will be the first in many years to graduate with a basic knowledge of celestial navigation. It’s time to pull those old sextants out of the garage and show the kids what they are and how to use them. But of course if there are no batteries and they cannot be connected to the internet they may not be interested! The above headline in the USA magazine SAILING, caught my eye recently as what its author says is very true. I too often hear people saying that they can navigate as they have a GPS. And when pushed further if their GPS fails, they simply say they have a backup! The article below was written by Chris Caswell. Remember the Apollo 13 astronauts, who famously radioed, “Houston, we have a problem here?” They had redundant power, but they were still seriously in trouble, and it took a traditional unpowered sextant to find their location and return safely from space. 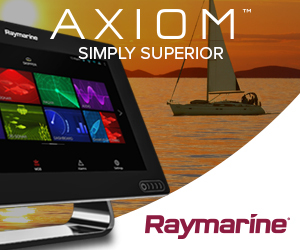 What happens on a yacht when the black box literally goes black and you can’t fall back on traditional navigation tools like charts? Just a few weeks before the Coast Guard announced its complete faith in electronics, two U.S. Navy patrol boats were seized by Iran when they strayed into Iranian waters. The Navy first said it was a “navigation error,” and then Defence Secretary Ashton Carter suggested “an equipment malfunction.” But gossip in the electronics world suggests that Iran “spoofed” the Navy GPS into false readings, which they’d already done to capture a drone. Whatever the reason, the Navy black boxes led them astray. The above was originally published in July/August 2016 SAILING Magazine (USA). www.sailingmagazine.net – and Reprinted with permission. I have often written that Durban is a backwater of sailing in this country. Nothing has yet changed my mind, as my views on this subject are regularly strengthened. Just recently the Point Yacht Club and the Royal Natal Yacht Club each had an opening cruise on consecutive days. This has, ever since I first started sailing in Durban in the early ‘70s, been a joint occasion with the Commodores of both clubs jointly taking the salute. To me it’s very sad that one club wants to go it alone without any inter-club co-operation. The fact that they cannot see the state of sailing in this town waning rapidly before their eyes shows just how blinkered they are. Durban was once a venue that everyone wanted to come to and sail in our waters – but today one has to do a really hard sell to get any interest as many active sailors believe that the plot has been lost and that the competition from sailors in Durban is, quite simply, not worth travelling for. Sad but true. Maybe it’s just as well that the ‘Bitter End’ is no longer a feature of this blog as the thorn in the side of this issue would be exposed. Once the excitement of the Olympics began wearing off, talk turned to many different aspects of the event and its format. I was fascinated to hear that there is a body of opinion which believes that the medal race (the final race for the top 10 only) is not achieving what was originally intended. For many it is an anti-climax as the medal winners are not necessarily the top 3 sailors to finish in that race. I must admit that I did find the medal races exciting, but had reservations during the NACRA multihull medal race as the Argentinians who finally won gold were forced into doing two separate penalties for two separate infringements, yet crossed the line 5th – to take the gold medal. The New Zealand team who won the race having sailed faultlessly, missed out on a medal! The point is really whether this race is exciting enough, or whether the final race should be contested by ALL competitors – or even be a non-discardable race? There is also much discussion on the Olympic classes for the future, and whether the classes selected represent the sport significantly strongly, and whether kiteboarding should be brought into the Olympics as part of the ten sailing disciplines. This is a tough one as most of us I am sure will believe that Kiteboarding should be separate from sailing. The big problem with bringing kiteboarding into sailing is that two Olympic Classes may have to be dropped. There is even talk of a keelboat class with day races and even distance races. I’m not so sure that this is desirable though. More food for thought and more vigorous debate I am sure. Again, your thoughts please. Finally on the Olympics, is the perennial question of whether the Finn dinghy still deserves its place? This is the only class in which those not afflicted with low-weight issues can compete. Finn sailors are generally tall, muscular and exceptionally fit sailors – and anything but overweight. They certainly deserved their place in the Olympics. Your Feedback please. World Sailing has their work cut out for them and they need to make it absolutely clear very soon which classes will be the Olympic classes for the next two and preferably three Olympics. I found myself drawn to following the Etchells World Champs recently, and could not wait to get the overnight results every morning. My attention was drawn to the fact that many of the world’s best sailors were competing in what was a very tough regatta. Plus it got me thinking about the state of ‘seniors’ sailing in this country. We don’t have a class with numbers throughout the country that one can consider as a class for senior sailors. In fact when one thinks broadly about the subject, as our sailors age they tend to go into keelboats and from there often out of the sport for good, unless they go the powerboat route. Now I know that there is a unique bunch of old Laser sailors out there led by Campbell Alexander who believe that they sail their Lasers better the older they get, and that they will never be old enough to sail keelboats. As I said, this is a unique bunch of guys, with Alexander being a maniacally passionate Laser sailor. I digress though. The International Etchells Class is a racing class of one-design sailing boats. Over the years, the Etchells has become increasingly popular and is now raced by more than fifty fleets around the world. The class’s strict one-design principles were established in the late 1960s and are controlled today by a strong, well-managed class association. The class and the International Sailing Federation maintain tight control of the construction of these yachts, ensuring the high quality and uniformity of each Etchells built. The Etchells is a fiberglass boat with aluminum spars; it has no electrical systems or auxiliary power. It is trailerable and light enough to drysail. The materials and techniques used in her construction make her easy to maintain and repair. The recent Etchells Worlds, sailed off Cowes, was won by John Bertrand who had just two finishes in double figures in 9 races, and only won 1 race – finishing 16 points ahead of second spot. So what you might say? For those who don’t know, Bertrand was the skipper of Australia II when they beat Dennis Conner to take the America’s Cup away from the USA. Plus, and this is a big plus, he is 69 years old. Second was Steve Benjamin who is an Olympic Silver medallist in the 470 class. He is also a multiple dinghy world champion who has won 505 World Championships and was also a formidable Fireball sailor. Sailing either as helmsmen or crew in the top 10 were: Chris Larson; Luis Doreste; and Lawrie Smith, plus many other top world-class sailors. The point in raising this is that it would be great to have a boat like that in this country in which our ageing ‘rockstars of yesteryear’ and others could compete? I can hear Campbell Alexander and some others itching to mention the Flying Fifteen. Regrettably it is only really sailed competitively in small numbers in Durban with some sailing in Saldanha Bay. And it is just a two-person boat. It has a keel though! Maybe this is something the class should pursue as imagine Dave Hudson; Geoff Meek; JJ Provoyeur; Rick Nankin; Rob de Vlieg; Hennie Fagan; Doug Alison; Rob & Brenda Tarboton; Campbell Alexander; Alec ‘Pops’ Lanham-Love; Martin Lambrecht and others slugging it out amongst each other in two-man boats again? It’s goosebump stuff – in my book anyway! The Laser Dinghy. Are its Days Numbered? The Laser has done phenomenal things for our sport since it was launched in the early ‘70s. It made sailing affordable and easy at a reasonable cost, and numbers around the world simply grew exponentially. It created top-flight competition at an Olympic and International level, and today the Laser Worlds is as keenly contested as they ever were. With the introduction of ‘masters’ divisions, the Laser Worlds is simply one of those events where interest continues to grow as Laser sailors travel to new destinations where they meet up with old pals. It also brought ‘one-design’ to a new level and ensured that wherever one went to sail, the Laser you chartered, borrowed, begged or stole! were almost identical to the one sailed at home. For me the one down side is that it is a singlehanded boat. I like the concept of a two-person boat as it always ensures another body on the water and hopefully a new convert to the sport. But that’s not the debate here. It’s now a 45-year old boat and newer designs and concepts for strict one-design singlehanded monohulls are beginning to flourish. Just recently the debate has begun as to whether the new Melges 14 or the new RS Aero will take over from the Laser. Both are modern, lightweight, fast and far more comfortable to sail than a Laser – and numbers are growing. I hear my Laser mates already groaning! I am in no position to state which is better as I have not seen the new boats, although there is lots to read about them – just go to google! The RS Aero is the product of three years of design and development, testing four different hull variations and numerous rig, foil and layout options – resulting in a boat that may be the most technically advanced in its sector. The RS Aero is ultra-light weight and easy to rig. High tech materials are used in the composite epoxy foam sandwich hull, with carbon fibre in high load areas and in the spars. Astonishingly, the RS Aero hull weighs less than an Optimist at just 30kg. The developers’ philosophy has always been to prioritise ultra-light weight, performance and practicality in order to produce a simple, yet refined and durable single-hander that will suit any sailor between 35 and 95kg. There are 3 rig options too. The Melges 14 has been named 2016 Boat of the Year, Best Dinghy. It is built by Melges who are well known builders of fast one-design boats, and designed by Reichel Pugh who have designed many of the world’s fastest boats, and are also the designers of the new Cape 31 which is being introduced to this country. The Melges 14 exudes innovation and excellence in one design sailing. 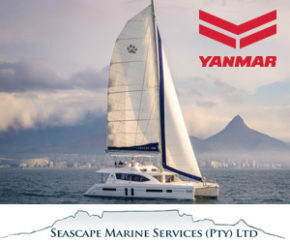 It’s speed, quality, durability, comfort and fun wrapped into one dynamic and modern sailing package. In development for over two years, it offers a fun and exciting upwind and downwind experience when compared to other boats in its size range. Perfect for all ages, it features a large, comfortable open cockpit – so no bailing. An ultra-cool carbon mast and boom complements its modern, yet flexible sail plan (full or mid-range). You can either car top or tow it behind any vehicle. It’s easy to move it around on a custom Melges 14 dolly. It’s a fantastic beach boat – a fun, family-style sailboat or a one-design racing platform. It will be very interesting to see if either of these two dinghies will ever take the place of the iconic Laser? The Dabchick 60th Anniversary celebrations are scheduled for Thursday 15th December at Theewaters Sports Club during the Dabchick National Champs. The black tie dinner is limited to the first 100 people who pay. Does Anyone Know the IDRA 14′ Dinghy? I don’t expect you to as in this country this dinghy was better known as the REB dinghy which this year celebrates its 70th anniversary. The prototype of the design, which was called ‘Fuss’, was designed and built in Poole Dorset by the Irish naval architect George O’Brien Kennedy in the winter of 1938. ‘Fuss’ proved to be very successful when raced by the designer in Poole Harbour in 1939. However as Europe was sucked into WW2 in September 1939 private boat building in the UK and most of Europe came to a sudden halt for the duration of hostilities. There were relatively few dinghy classes at that time and no truly National Classes that raced in venues throughout the country. A group decided that they would set up an organisation to encourage and control small boat sailing throughout Ireland as soon as the war was over. In November 1945 the Irish Dinghy Racing Association was formed and after some modifications ‘Fuss’ became the “Irish Dinghy Racing Association 14 Foot One Design Dinghy” – IDRA 14. An article on the ‘Fuss’ design in an English sailing magazine was also noticed with interest by a wealthy businessman called Rupert Ellis Browne. He was in the coffee industry and Mayor of Durban at the time – as well as being Commodore of the Royal Natal Yacht Club. The result of this was an order for 14 boats in 1946. The boats were shipped out to Durban where the Class became known as the REB – the initials of Rupert Ellis Brown. Rupert personally paid for the cost and delivery of eleven of the 14 boats – the others being paid for by Club members. Two boats were subsequently built locally in the Fred Nicholl’s boatyard in Durban. The boats were stored outside the PYC. Many household names in South African sailing raced in the REBs at that time – including South African Olympic sailors Rupert Ellis Brown and John Sully. The Class was strong in Durban for many years up to the 1960s – when other Classes quickly superseded them. One of the problems with the REBs was the clinker construction of the boats, which was not the most suitable construction type for Durban with its hot and sometimes moist climate. This resulted in the boats being rather “leaky” as the planks dried out too much in the heat. Many of the boats were donated in the early 1960s to the University of Natal and they were both sailed and enjoyed by the students for many years afterwards. This information was supplied by Ian Sargent who has been closely involved with the class for 3 generations, and is now the Class President – and it appears historian too. There is so much more that he sent me, but space regrettably prevents me using it. In an attempt to keep the event honest and transparent, The Lipton Trustees answer some recently asked questions. Just two questions are answered here, with more in the next issue. .
1. Will the recently revealed Class Rule contraventions on one particular L26 damage the prestige of the Lipton Challenge? While this incident is highly regrettable we believe that, as a result of the action taken by the Lipton Trustees and the L26 Class Owners’ Association, the prestige of the Lipton Challenge will actually be enhanced rather than damaged. No event, whether a club regatta, the Lipton Challenge, or the Olympic Games, can be diminished by the conduct of an errant boat unless those responsible for the event fail to take prompt and appropriate action. Once the full facts around the “illegal” modifications to 007 became clear, the Lipton Trustees and the L26 Class both acted promptly and properly in reporting the matter to the National Authority for action in accordance with the Racing Rules of Sailing. As you probably know, a very thorough investigation is currently under way. We are confident that our National Authority will handle this important matter strictly in accordance with the Racing Rules and international best practice, and in the best interests of our sport in South Africa. 2. Does the L26 Class offer a level playing field in terms one-design racing? The reality is that prior to the L26 era the Lipton Challenge had no history of level playing fields in terms of the boats being sailed. The International Rule Eight Metre yachts that were raced in the early days, and the Thirty Square Metre yachts that were raced subsequently, were very different from each other in terms of length, beam, displacement, sail area, and keel shape and depth. Likewise, the boats designed under the Quarter Ton rule and raced in the 1982 and 1983 Lipton Challenges were far from equal. It’s an interesting item of history that the “International Rule” and “Square Metre Rule”, both introduced in 1908, were intended to create a more level playing field for yacht racing across Europe and the U.K., yet these initiatives gave rise to a new branch of Naval Architecture in which the primary objective was to use the rule to achieve precisely the opposite – to tilt the playing field as strongly as possible in favour of the latest proprietary design. The “arms race” that followed has been well documented in the history of our sport, and winning was for the wealthy. So, for the first 73 years of the Lipton Challenge the playing fields were anything but level in terms of the boats taking part. It was only with the introduction of the L26 that a reasonably level playing became a possibility. However, there’s no doubt that right from inception the L26 was never a perfect one-design in terms of construction. For example, the keels were factory-fitted in positions with a fore-and-aft variation of some 80mm, and the hull weights before the addition of corrector weights vary by more than 100kgs. Developments in the L26 Class Rules over the years have helped to bring the boats much closer together than in the past, but the effects of differences at the construction stage are impossible to eliminate altogether. In spite of this, the L26 has provided an unequalled platform for more than three decades of the most competitive racing in SA, and the Lipton Challenge Cup is still the domestic trophy most young sailors in SA would most like to win for their club. During the thirty three years since the selection of the L26 for this event, no fewer than eleven different clubs have won the Cup, with the winning teams having raced nine different boats so far. There will be more in the next issue of “Talking Sailing”. South African sailor James Blakemore’s Swan 53 ‘Music’ has become the first yacht to triumph at both the Rolex Swan Cup in Porto Cervo and its sister event, the Rolex Swan Cup Caribbean, held in Virgin Gorda on odd years. With four wins from as many races, Music dominated the Grand Prix class, a division where interest was magnified around the presence of the three newly-launched Club Swan 50s. And not to be outdone, Lord Irvine Laidlaw’s Highland Fling 15 also romped to victory in the Maxi Class. Interest in the Maxi class, reserved for the largest yachts, stretched beyond the contest to identify the class winner. The presence of three brand new Swan 115s provided great intrigue. The Swan 115 represents a bold step into the increasingly dynamic superyacht market with its first three iterations all racing in Porto Cervo for the first time. Of the three, Lord Irvine Laidlaw’s ‘Highland Fling 15′ is the one most built to race. Her status as the fastest boat on the water was never threatened. This momentous edition of the Rolex Swan Cup will live long in the memory and etch its own chapter in the annals of this remarkable event. A record 125 yachts from over 20 countries contested four days of racing. They encompassed designs representing over fifty years of nautical heritage. Competition was closely-fought and conducted with typical grace and sportsmanship by owners and sailors who were left awe-struck by the challenging conditions offered by one of the world’s most renowned sailing environments. This book is the racing rules bible, completely updated for the latest 2017-2020 Racing Rules of Sailing. You don’t have to know all the rules off by heart, but you do need to know your rights and obligations on the water – the rules can be looked up afterwards. This book takes you through the key situations that occur repeatedly on the race course showing, from the point of view of each boat in turn, what you may, must, or cannot do. Colour diagrams throughout ensure concepts are easily understood. The book also contains the new Racing Rules of Sailing in full, with all the Appendices. The latest rule changes are highlighted, along with their impact on you as a sailor. This is the essential guide for the racing sailor. The author, Bryan Willis, is a leading authority on the rules of yacht and dinghy racing. He has been chairman of the jury and chief umpire for some of the most prestigious sailing events in the world, including the America’s Cup and Olympics. He served on the International Sailing Federation (now World Sailing) Racing Rules Committee for over 25 years. Dave Hudson believes that is a book EVERY single sailor who goes onto a race course should have, read and study regularly. “Firstly Bryan Willis ‘ approach is situation-based and practical, rather than rules-based and technical. “Secondly, under the diagrams that clearly set out each on-the-water situation, he carefully takes the reader through what each boat can and can’t do, as well as how their rights and obligations change at each stage. “Thirdly, the text is peppered with useful tactical insights and tips. The size and sheer weight of this book is an indication of its ‘grandness’. Its manageably large, yet weighty which means that its pages are of high quality paper which translates to really high quality images. Sharon Green’s name is synonymous with yachting photography as for the past 30 years she has produced ‘The Ultimate Sailing Calendar’, as well as being one of the top sailing photographers globally. Her calendars have produced stunning images from events all around the world, and in this tome we get to see 250 of them. One has to remember just how far photography has come in the last 30 years, or more aptly, just how much it has changed. Gone now are the days of film, and having to change film every 36 frames, of having to take the film for processing and wait for the results before viewing them on a lightbox, and then having to send them out for scanning. Today it is all instantaneous with images uploaded to a hi-resolution screen in seconds, and sometimes is even onto a page in minutes. The transition from film to digital was tough, very tough. What I do like about the book, besides the magnificent images, is that many of the world’s top sailors have added their anecdotes. Paul Cayard, Stan Honey, Jimmy Spithall, Ken Read and others have contributed. There are not too many words either, just enough to keep one interested and focussed. One of my favourite pics is on page 70. It was taken when a sharp eye and quick reflexes were needed, as well as a knowledge of the sport and a sixth sense as to what may happen next … ! Sailing is truth and freedom, not just a race from harbour to harbour. Sailing is harnessing the energy of the wind and the waves into endless dreams. Sailing is watching the luminescent wake of a boat running in front of blustery trade winds down colossal waves under big skies and stars with a rising moon. Sailing is sharing with dolphins, whales, orcas, sharks, pelicans and albatross.. Sailing is true adventure in the real wilderness. Sailing is the last accessible proving ground for the modern adventurer. Racing is a great excuse to go sailing. Sailing is life at its best. Interestingly, Sharon Green’s book brings all this into perspective. Note. This book may be an ideal Christmas gift for that difficult-to-buy-for sailor. Order NOW. Now here is something very different. The Premiere Sailing League USA, which held its first exhibition event at Detroit’s Grosse Pointe Yacht Club (GPYC) in early September published Clothing Regulations and Team Rules that are unique to League events. Each team is required to announce their crew seven days prior to the first race of the competition. While each team may register up to eight ISAF-classified professional sailors for the season, only one professional is permitted to sail at an event and he or she may sail in only eight races during that event. With a maximum of 40 races planned for each event, strategising when to put the professional on the water will be critical to a team’s success. Each crew must be a member of the sailing organization they represent, and a sailor is allowed to represent only one team during the season. I love new technology especially when inventors have thought right outside the box. Esthec, a Dutch producer of composite decking for the sailing industry has achieved a world first with this revolutionary invention, which was given the provisional name ‘Solar Glow’. The luminous decking ensures that gangways remain visible in the dark and thus substantially increases safety aboard boats. At the same time, the innovation is sustainable, since the luminous deck uses solar power instead of electricity from non-renewable sources. In addition to improving safety, the concept also provides designers with a new dimension in creative deck design. Esthec expects the luminous decking material, which it developed in-house, to be used both by competitive sailors and in recreational boating. That is: one part lime juice, two parts sweetener, three parts rum (preferably Barbados), and four parts water. Now get to it you rum swillers at the Due North Rum Club. Please brew this and let me know if it is safe for those who think Rum is bad for them. The September issue of SAILING Magazine, in its ‘From the Archives’ section on page 28 showed a pic of three people, one swigging from a trophy. The three are Wouter van der Ley, Allan Ings and Julien Girard. Rosemary Girard informed me a few days ago that their daughter bought the magazine to interest Julien whilst in the Wide Horizon Hospice. “We did all enjoy looking at the past and find it unbelievable that Louise should have bought that particular magazine which depicted Julien in happier times”. On a sad note, I have to inform you that Julien passed away peacefully. The ‘70s and ‘80s Julien was an authoritative figure on the Vaal Dam as he lived in Deneysville, and was the ‘go to man’ who knew everything there was to know about boating, and sailing in particular. A sailor who smelled like a distillery flopped on a subway seat next to a priest. The sailor’s tie was stained, his face was plastered with red lipstick, and a half empty bottle of gin was sticking out of his torn coat pocket. “Hmmm” said the sailor, “This newspaper article claims that the Pope has it! 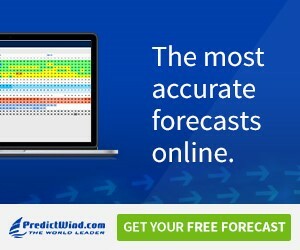 • Once again, thank you for this amazing newsletter that you provide free of charge. I can see it’s a labour of love, because of the detail you try to impart to land based sailors like myself. It has been one of the inspirations to keep going for my dream of cruising and hopefully doing a circumnavigation one day. Keep up the splendid work, because after a tough day in Gauteng there is nothing better than poring over the various articles you have painstakingly written. • Regarding the Northwest Passage, I know of some more Saffas who have done this by yacht. In their case the yacht was a bona fide form of transport as they were there on a climbing trip!